You can not imagine what a tremendous joy it gives me to organize giveaways for you. And when I get from the winner a nice thank-you e-mail, I'm even happier. Once again I will make one of you very happy. The winner will win a gold cosmetic bag, in which is hidden luxurious cosmetics from Estée Lauder in the value of USD 100 - mascara, eye make-up remover, lipstick and lip gloss. In short, everything what you see on the picture. Giveaway rules are as simple as ever. Just follow this blog via Google+ and leave your email. Giveaway is open internationally and will run until 20.07.2016. Neviete si predstaviť, akú obrovskú radosť mi robí realizovanie giveawayí. A keď potom dostanem od výhercu krásny ďakovný email, som ešte šťastnejšia. Tentoraz poteším zase jednu z vás. Výherkyňa získa zlatú kosmetickú taštičku, v ktorej sa ukrýva luxusná kozmetika od Estée Lauder v hodnote USD 100 – maskara, odličovač očí, rúž a lesk na pery. Skrátka všetko to, čo vidíte na obrázku. Pravidlá giveawaye sú jednoduché ako vždy. Stačí sledovať tento blog cez Google+ a zanechať na seba email. Giveaway je otvorená medzinárodne a pobeží do 20.7.2016. 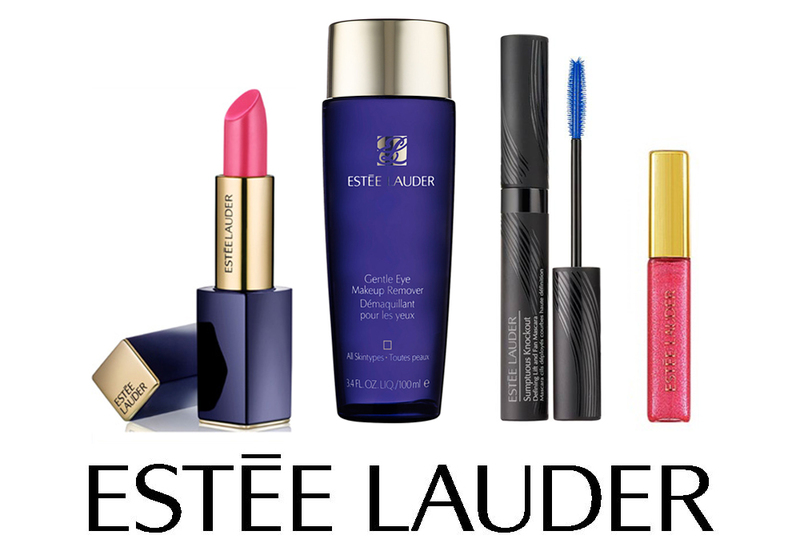 I really love and adore Estée Lauder! I have been checking their products always! Updated I am but I never have bought it for myself because it's expensive and I'm already a Single Mother, hardly have time nor money for myself..Hope to win that! Tady je vždycky taková účast, že nemám šanci vyhrát a navíc je mi to hloupé! Ale boží věcičky. I have participated in your giveaway and nice and expensive giveaway. Just awesome thanks a lot from Greece!!! Thank you for the beautiful present!!!!!! I would like to win this cosmetic bag as I love to try this luxurious brand and will enjoy my diva look after the smooth make up..shall give me the feeling like a hollywood star. This is great! I love estée Lauder, thank you very much! Done and thank you so much for this giveaway i love estee lauder products. Ahoj, když nemám Twitter, nemůžu jít ve formuláři dál. Co mám dělat? :( Jinak děkuji za krásnou giveaway! Hope to win this Fabulous prize!! cross my finger hopes can win that will be so amazing!!! would be glad to win go summer go!!!! I would be very glad is that prize come to Portugal. Love this brand <3 Thank's by the chance, i cross my fingers. Hey, Reina Izdiha (facebook name) there! It's really sweet of you to make this giveaway for your followers! Makeup is such fun, games and has so many possibilities! It helps me feel better and is so much fun or me! Sorry fot the broken english, i'm french, love you! I love Estée Lauder. The products are just magnificent. I keep my fingers crossed that the prize will find its way to Germany. Super blog, the best blogger, and great giveaway! Thank you!